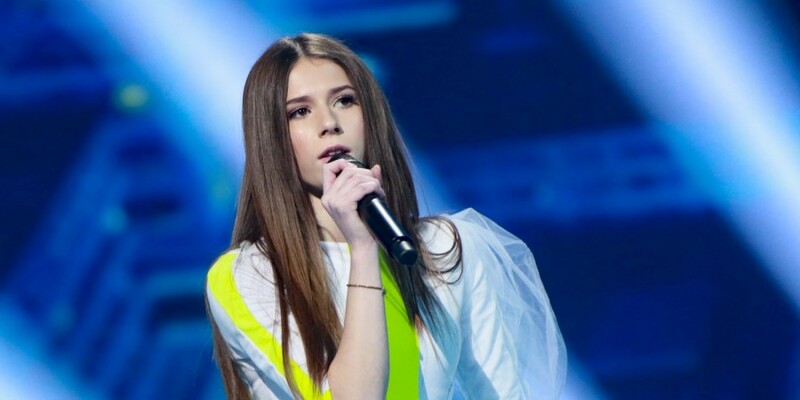 Poland's Roksana Węgiel wins Junior Eurovision 2018 with the song "Anyone I Want to Be"
13 year old Roksana Węgiel from Poland wins Junior Eurovision Song Contest 2018 with the song "Anyone I Want to Be". It's the first time Poland wins Junior Eurovision. Poland first took part in Junior Eurovision 2003 and made their 5th appearance this year. Their previous best result was in 2017 where they came 8th. The winning song "Anyone I Want to Be" is written by Maegan Cottone, Nathan Duvall, Cutfather, Peter Wallevik, Daniel Davidsen, Małgorzata Uściłowska, and Patryk Kumór. Australia won the juries, but it was Poland who won both the online voting and Junior Eurovision 2018. A record number of 20 countries competed in this year's Junior Eurovision Song Contest. After an exciting voting it was Poland who won the contest, followed closely by France (2nd) and Australia (3rd). 1,283,921 votes were received in the online poll which was split into two rounds; one before the show based on preview clips and a second that opened after the last live performance. The host broadcaster for Junior Eurovision 2019 will be announced in the coming months. Back in 2000 the Danish broadcaster Denmark's Radio (DR) held a song contest for children, and in 2002 the "MGP Nordic" was held together with Sweden and Norway. EBU picked up the idea for a song contest featuring children, and the first Junior Eurovision Song Contest was held in 2003 in Copenhagen, with 16 participating countries. Back then the Junior Eurovision was based on entertainment for kids around Europe. On their level. It has later transformed itself to a copy of the "adult's Eurovision", lacking the soul and unique atmosphere it once had. Junior Eurovision is only open for children aged 9 to 14.